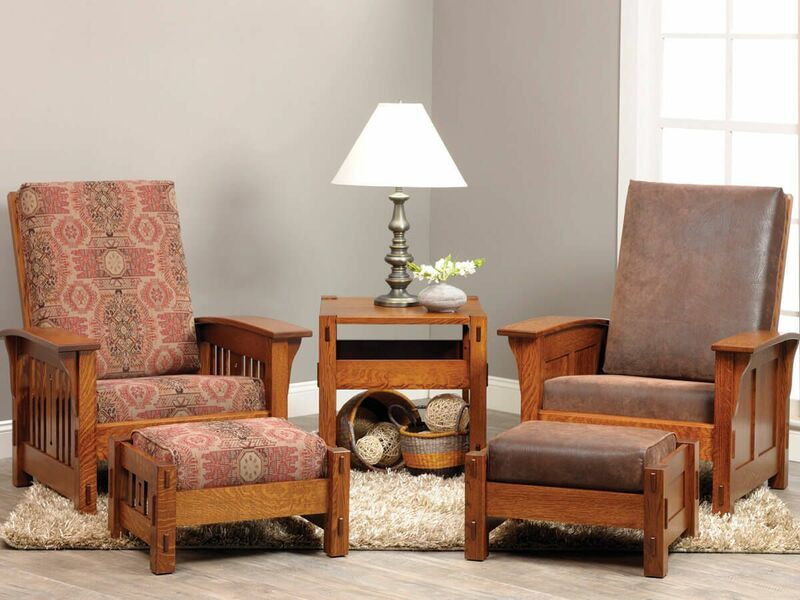 Available in leather or fabric, our Amish Mission Sandy Creek Tall Chair makes a warm, inviting, solid wood, upholstered seat for your living room. 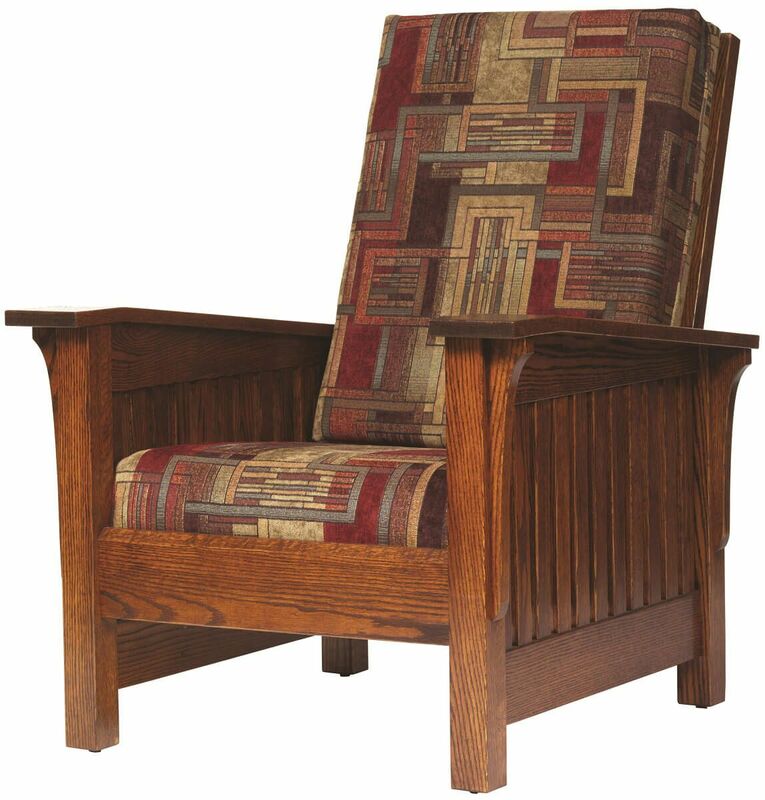 Impress your friends and family with this fine Amish Mission living room chair. 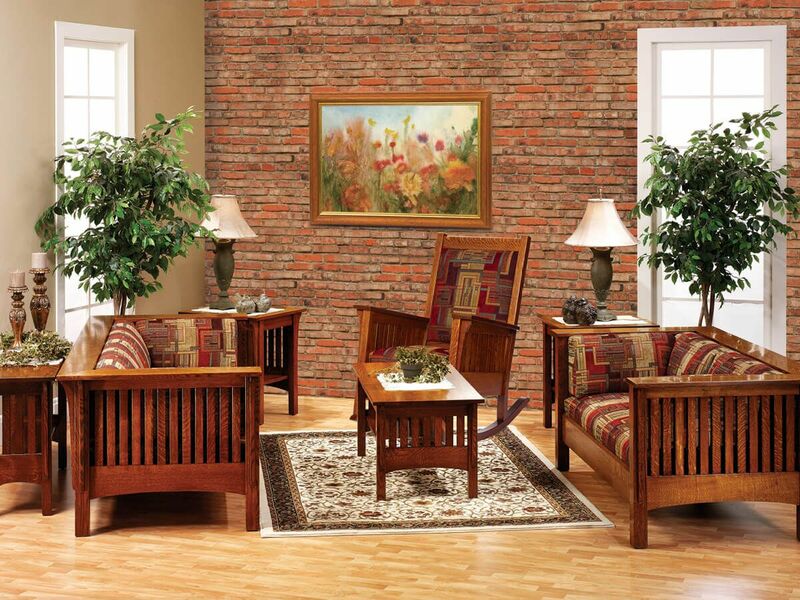 Handmade construction is of the finest quality solid wood materials from sustainable forests. 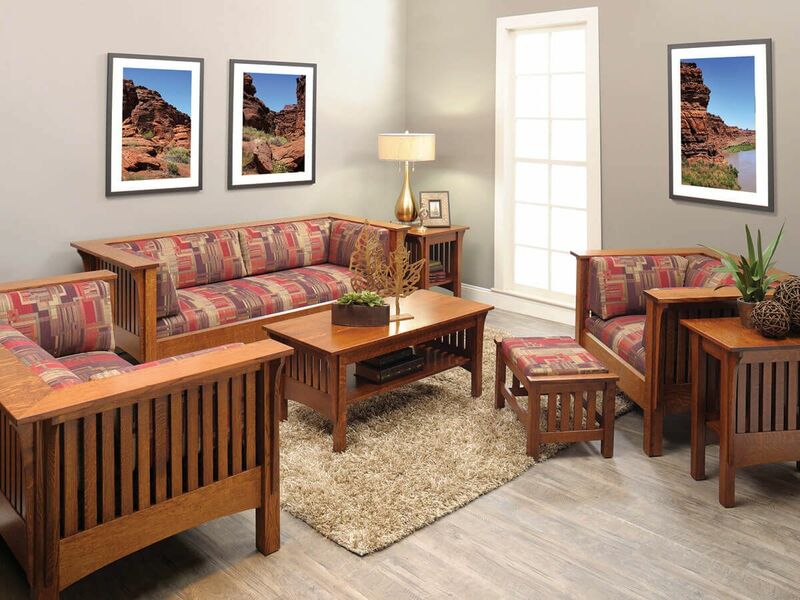 You will see the handcrafted quality with solid mortise and tenon joinery and upholstered work. Featuring Mission-style slats, you have a choice of premium fabrics or full-grain leathers, which are designed for your comfort. 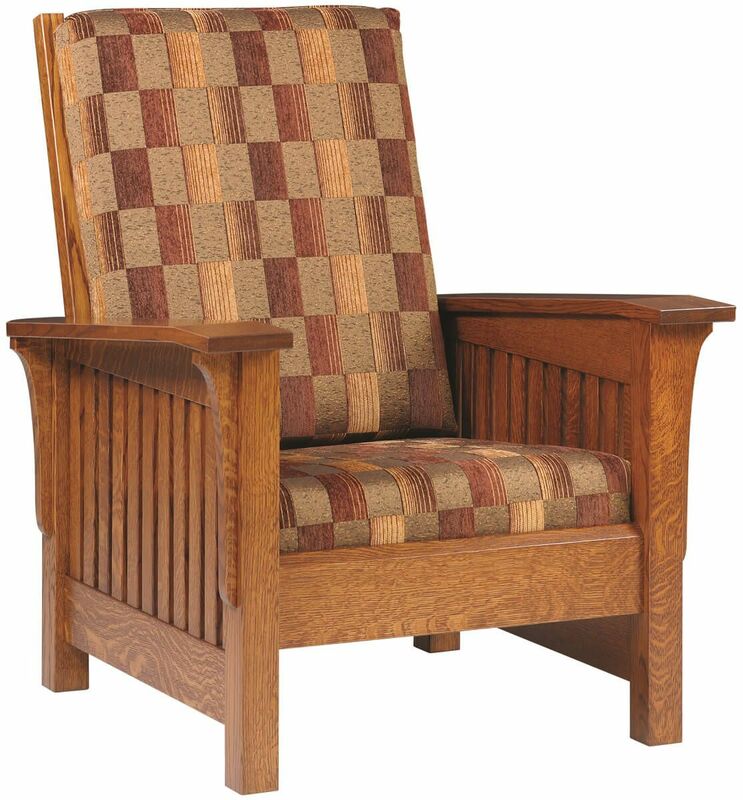 With pillars of hardwood for legs and solid wood arm rests broad enough to rest your arms, a favorite book, or your beverage, our Sandy Creek Tall Chair adds versatility into your room. Design one for your home by selecting Quartersawn White Oak with a Burnished Honey stain, or another one of our various wood and stain combinations.